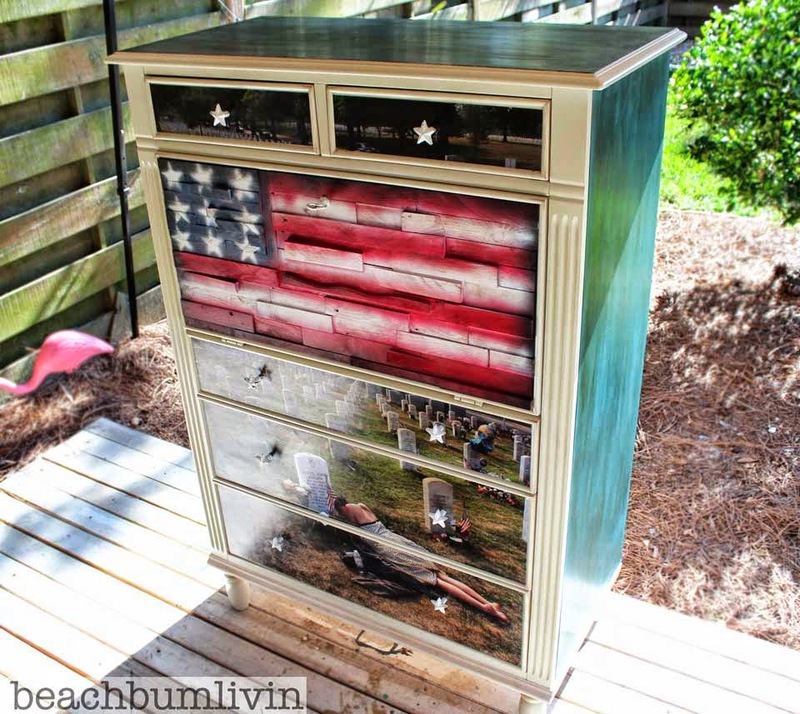 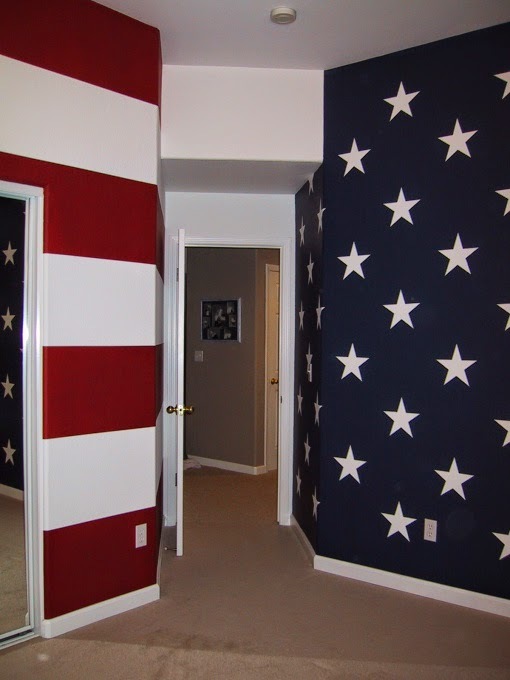 Gimme a flag...will add interior..mix them both together and this is what you get. 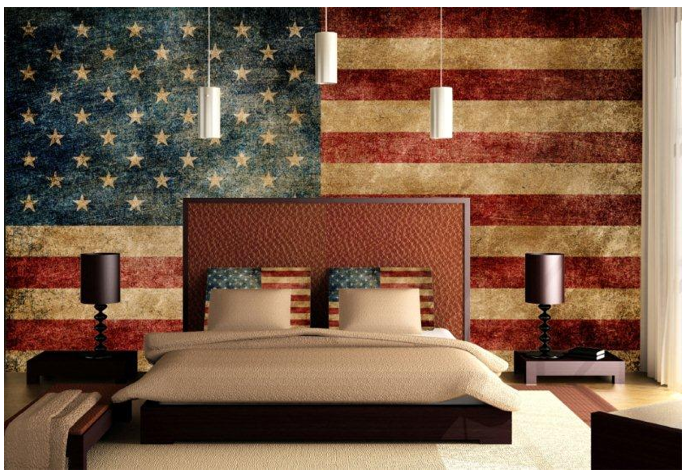 In honor of the 4th of July I pay homage to the Flag in all its glory. 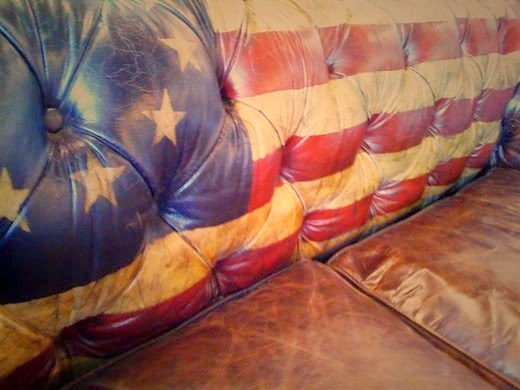 These interiors ain't half bad either. 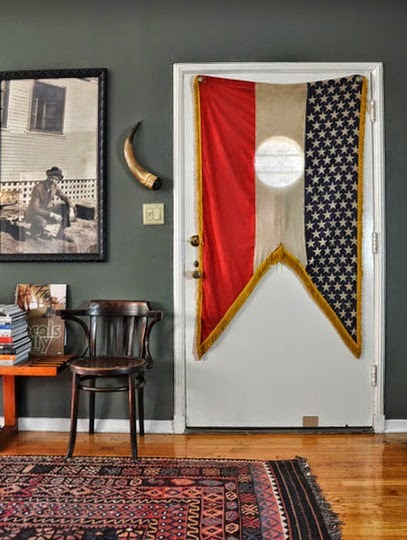 (All photographs on this page courtesy of Google search) THIS BLOG claims no credit for any images posted on this site from Google searches unless otherwise noted. 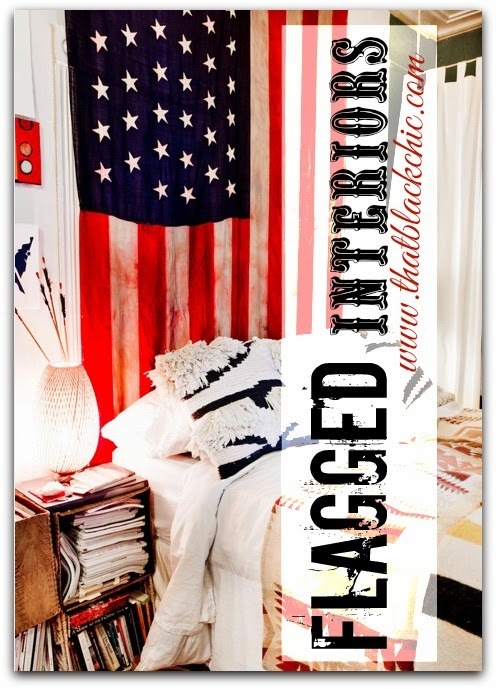 Images on this blog are copyright to its respectful owners. 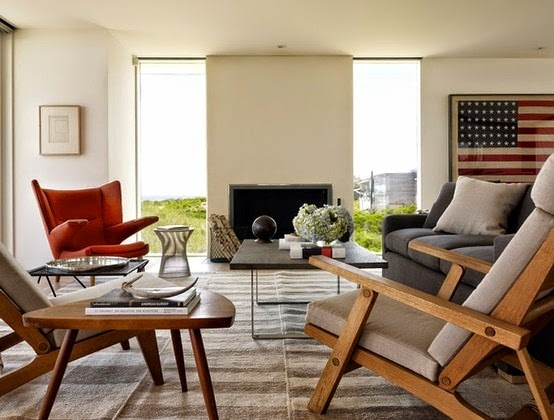 If there is an image appearing on this blog that belongs to you and do not wish for it appear on this site, please E-mail with a link to said image and it will be promptly removed. 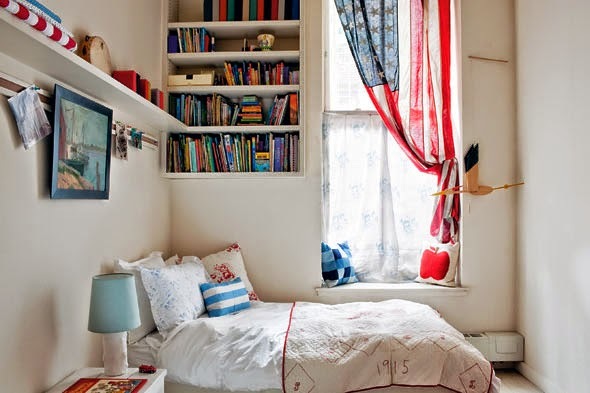 Thanks a bunch for stopping by and glad you enjoyed my little space in the world! 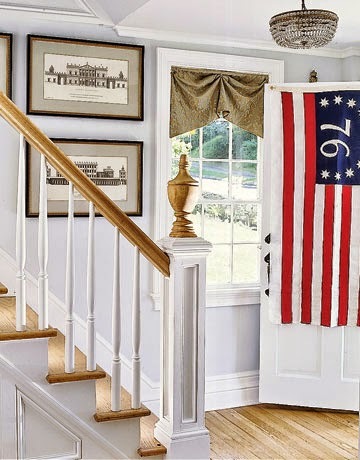 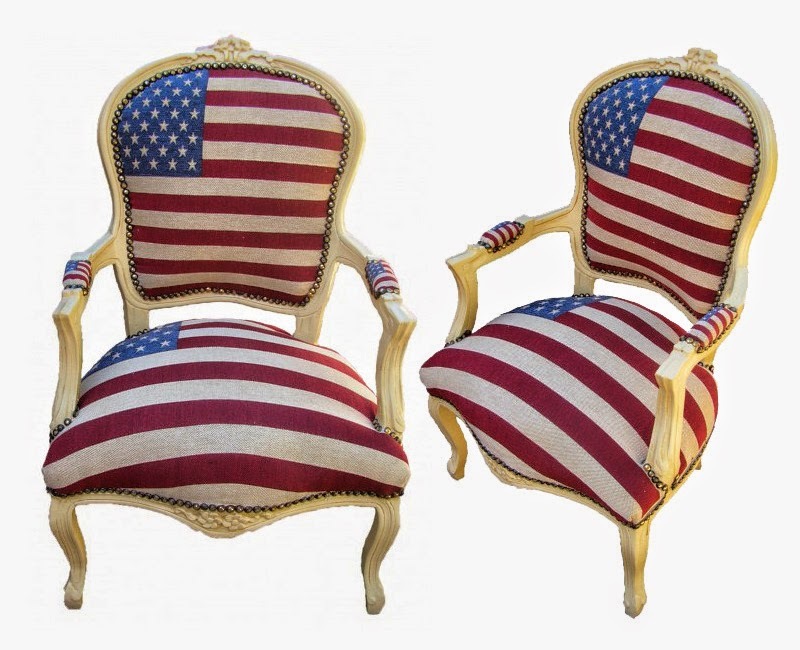 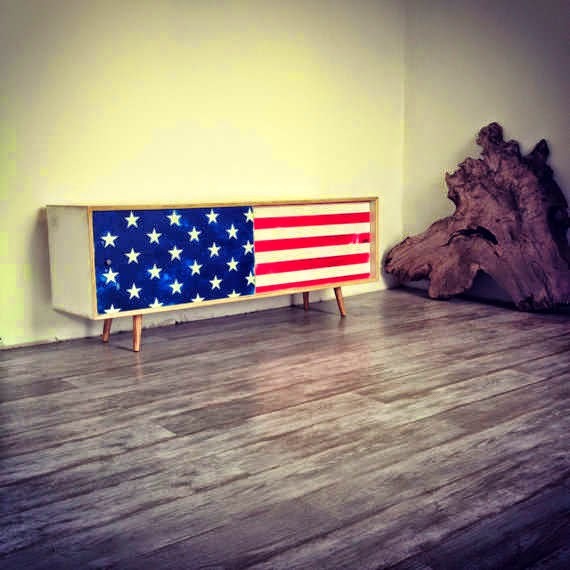 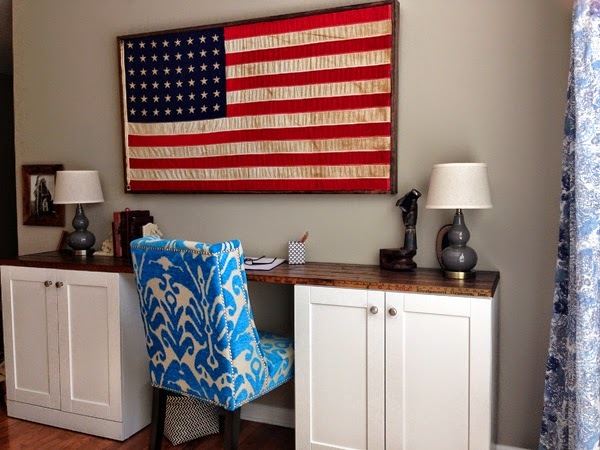 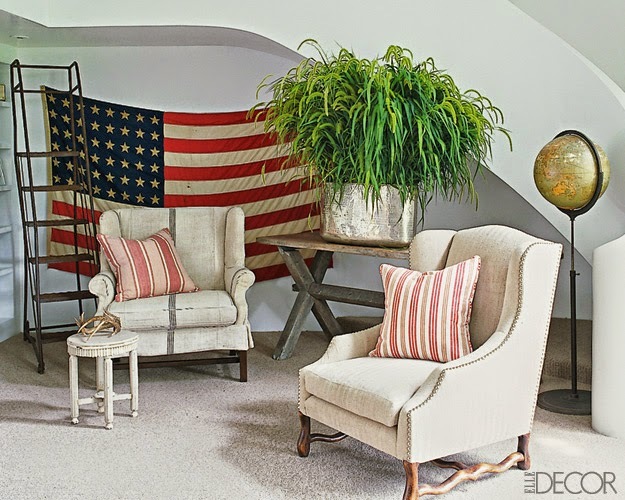 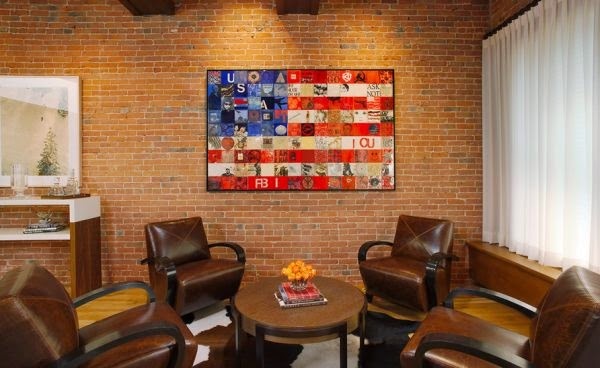 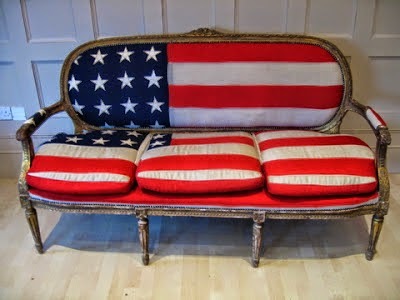 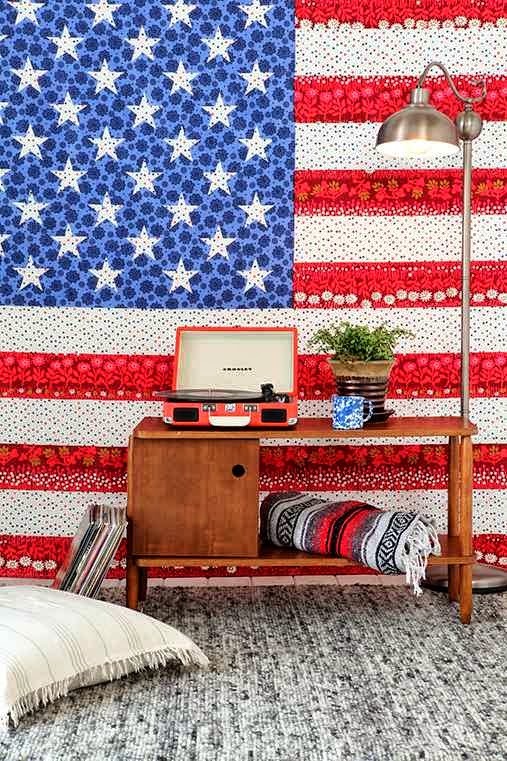 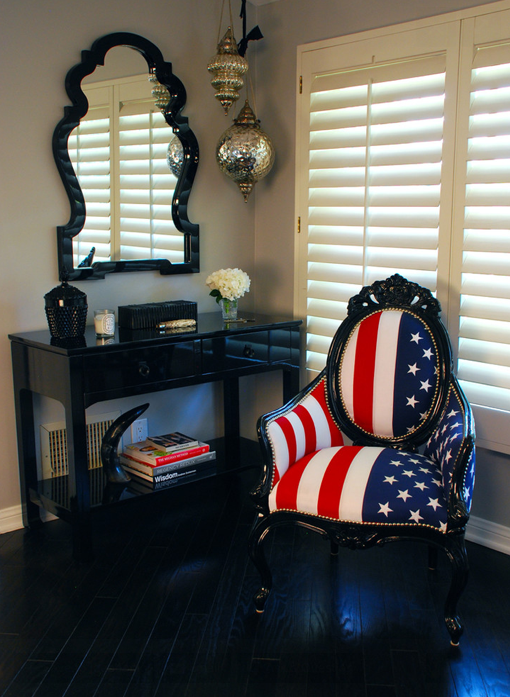 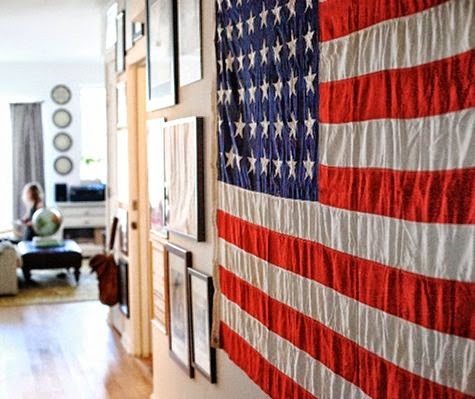 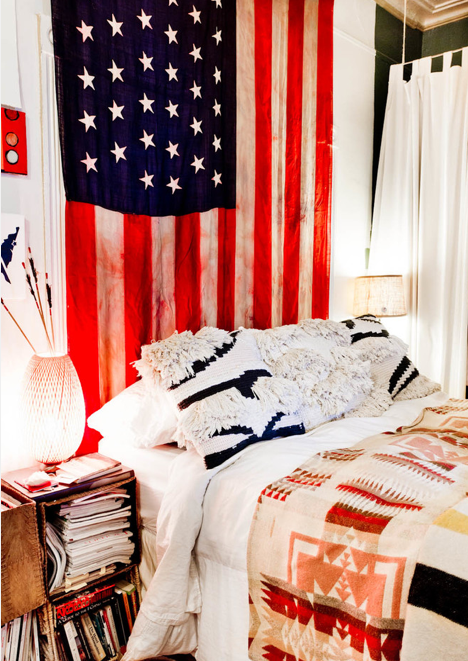 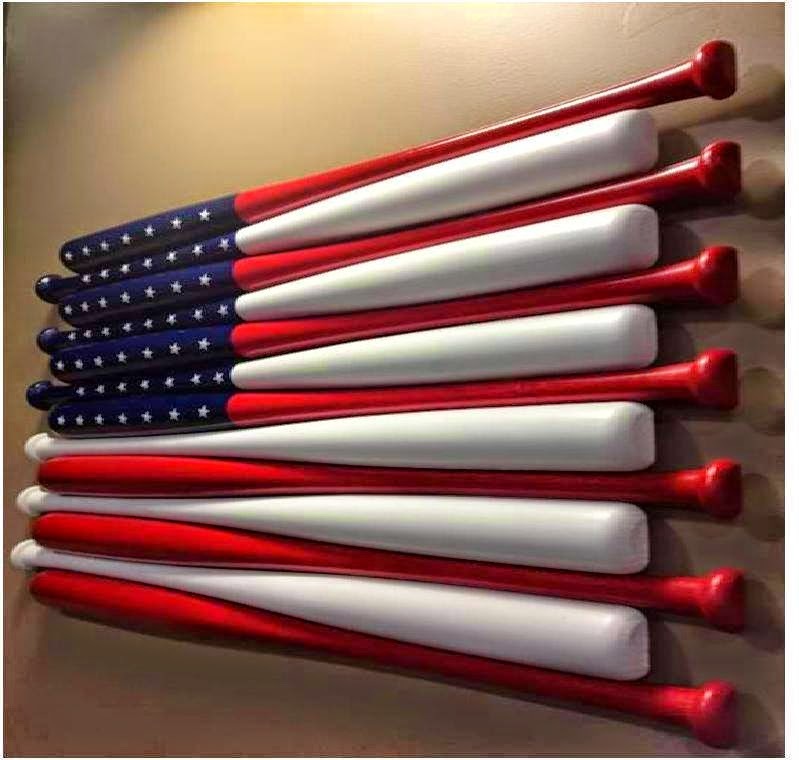 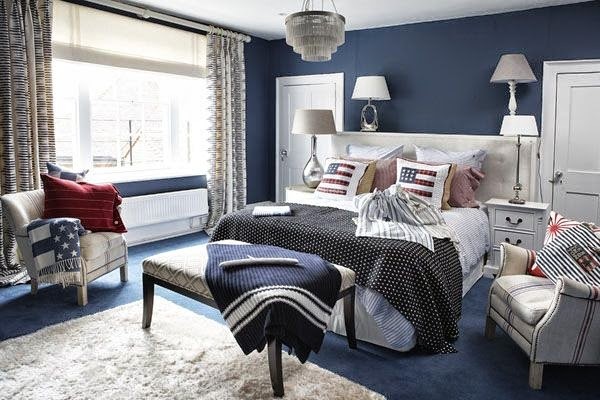 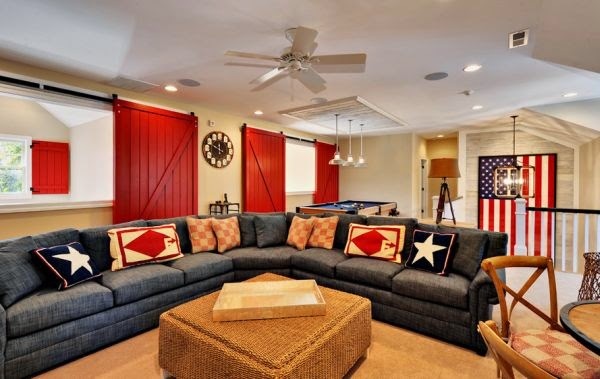 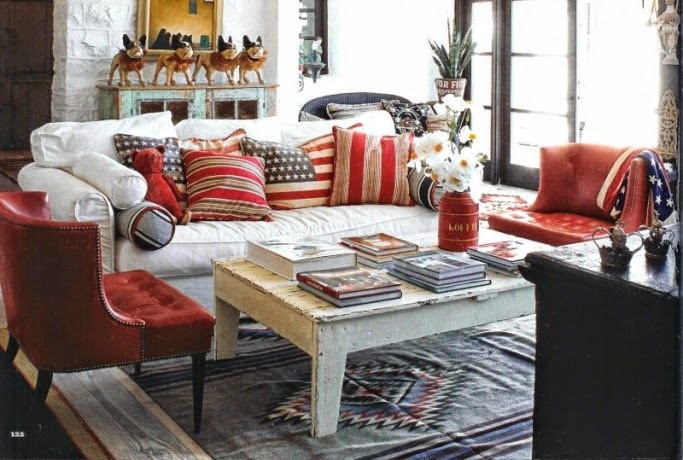 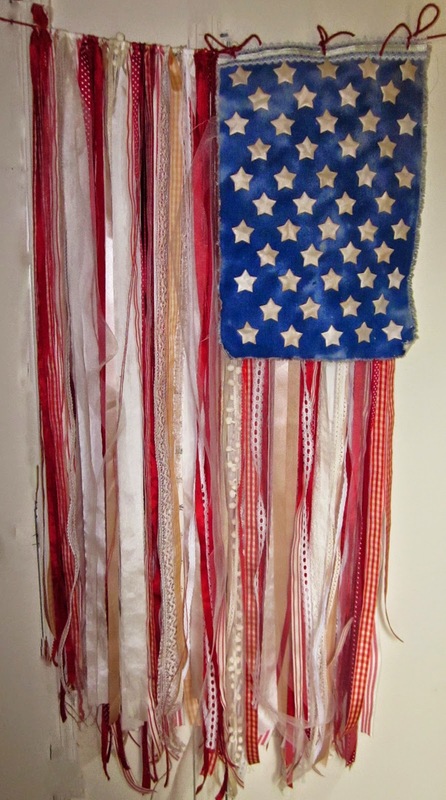 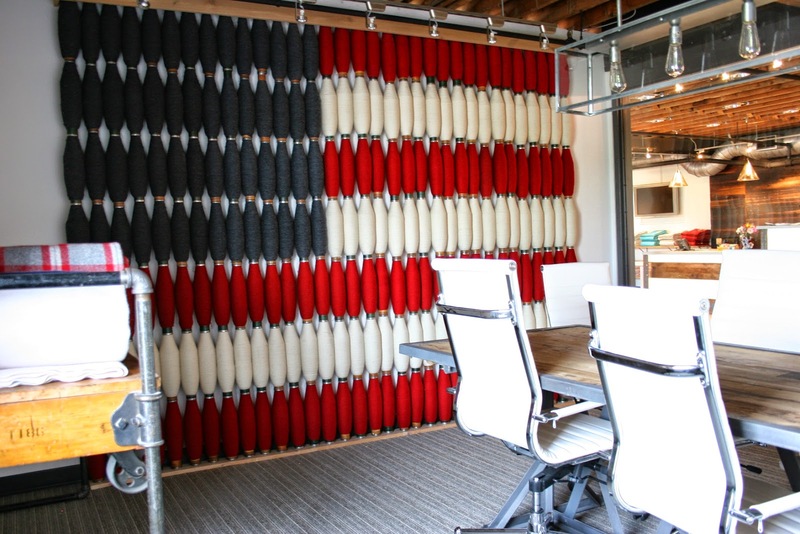 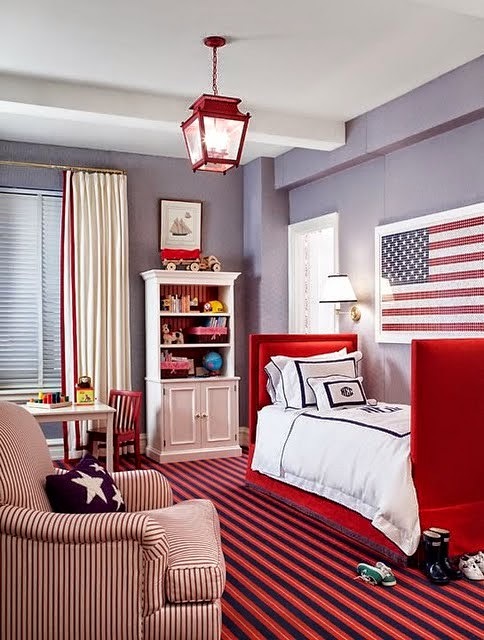 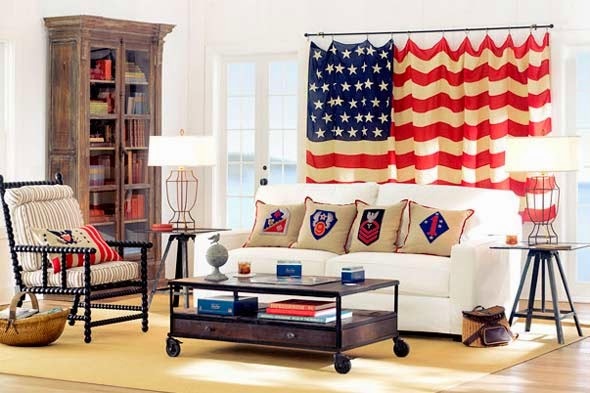 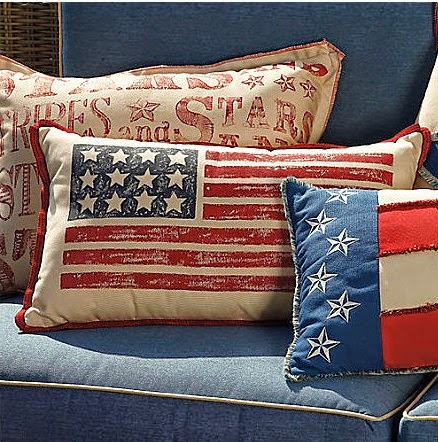 You can never go wrong with red, white and blue and I think a flag add character to any room. 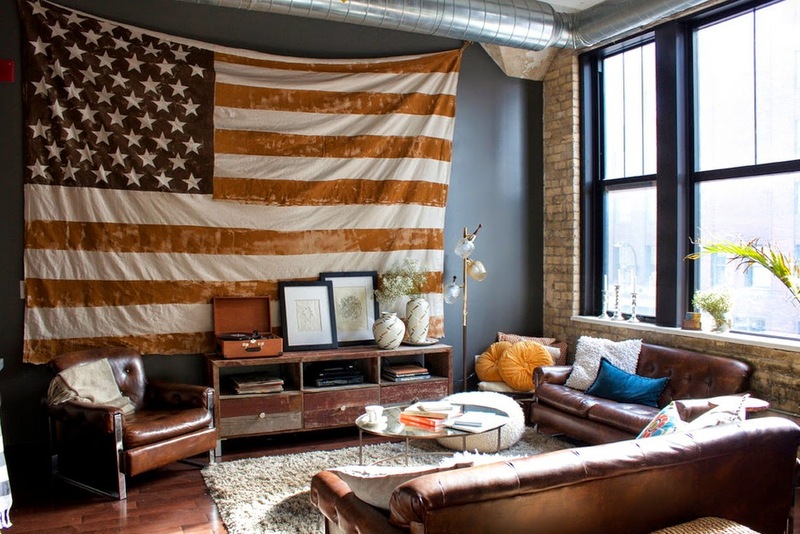 The flags make great interior pieces. 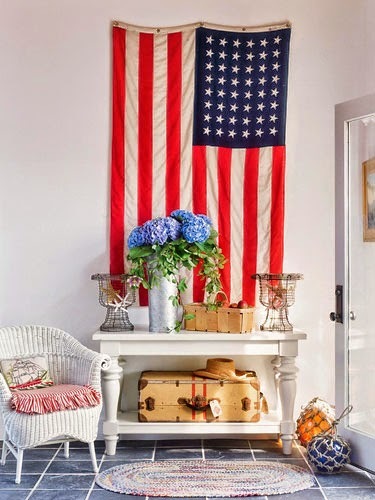 I'm all about anything red, white and blue!